When I posted the list of influential Beatle people that passed away in the early hours of this morning, I had no idea that another person would make the list. The Beatles first manager, Allan Williams passed away today. Allan will be remembered for a variety of things. Most of all for being quite an eccentric character who was very good at telling a story. Sometimes you weren't sure how much of his story was to be believed, but it was a good story nonetheless. 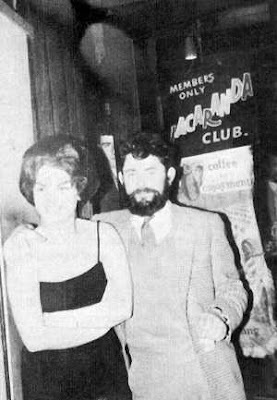 Allen was the guy who ran the Blue Angel Club and the Jacaranda Clubs in Liverpool and who got the Beatles the audition and tour on the Johnny Gentle tour of 1960. 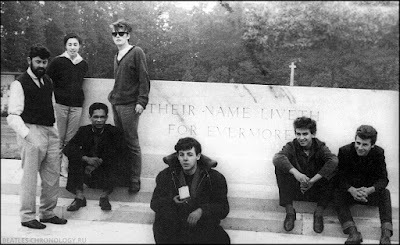 But Allan Williams's most notable part of the Beatles' history is that he is the guy that got them to Hamburg. Allen was at the 2 i's coffee club in London where he met up with Bruno Koschmider who was looking for British arts to play at his clubs in Hamburg. Williams was familiar with the music scene in Hamburg because the steel drum group from the Jacaranda had left to perform there. Williams suggested the Beatles and drove them himself in a van from Liverpool to Germany to make history. Allan Williams wrote a book that is worth reading called "The Man who gave away the Beatles." I just might need to re-read it again soon. Liverpool is losing some of it's first hand Beatles connections and that is really sad. However, through those of us that love the lads, the stories and the music of the Beatles will never die. ooops---I know a lot of Allen, Alan, Alen, Allan, etc. I will change this. Back in the early '80s, Allan used to give personalized Beatles tours and I was fortunate to have spent a day with him tooling around Liverpool in his little car. He told us some pretty salty stories and we had more than a few laughs (and a pint or two, as I recall). No matter what people say, every Beatles fan should be grateful to Allan Williams for getting them the Hamburg gig. They would never have become what they did without that experience. RIP and many thanks.